The single most important thing, we as believers, will ever do aside from accepting our Savior ourselves, is bring His message to others. The pure and simple foundation of our redemption, the Gospel, is the weightiest subject matter in the entire body of the scriptures. Having an eternal impact on every single being accountable to a moral standard… what we do with the Good News is ultimately the measure of what kind of servant we were for Him. Some of us are naturally more outspoken than others, and so that difference means that we will each have our own level of comfort when it comes to witnessing to strangers… or even those we know well. There is no need to feel disabled by an innate level of shyness, however. Even the most introverted and non-confident believer should understand that, if nothing else, the Gospel is the one thing in which he or she can have perfect confidence. What is, unfortunately, often mislabeled as shyness is a sense of shame… a self-consciousness which comes from a desire for personal acceptance the believer feels might be lost if they share the truth with another. There is a great deal of danger in being this sort of believer, not only to the cause of witnessing, but the entire relationship between the individual and his or her Elohim. For whoever is ashamed of Me and My words in this adulterous and sinful generation, of him the Son of Man also will be ashamed when He comes in the splendor of His Father with the sacred messengers. We can never excuse ourselves from the task put to us… to be the light in a dark world. Being that light not only means being able to communicate His message to others, but to do that correctly. There is one simple difference between witnessing correctly and incorrectly, and that difference is directly tied to the motive we have for witnessing the Gospel. Correct witnessing of the Gospel is much more about the why than the how… the reason we want to tell others the Good News, should obviously be the same reasons Yahushua wants us to tell others. That every instance wherein we open our mouths and speak His message to another is a moment with eternal impact aught to put us in mind that we are literally becoming a part of that person’s eternal future, whatever it will be. If we do this in any other spirit but His… a spirit of deep concern, compassion and genuine desire to see someone enter into His Kingdom… we have already failed. The motive, too often, among believers is far more utilized like a call to battle with the lost person who is receiving the message. It becomes a boxing match of clever words and memorized arguments, the goal of which is someone coming out “the victor”. If the lost remain lost… no matter how cleverly you’ve stated your argument… there is no “winner”, instead you leave a lost individual embittered against the subject to a degree which will throw up road blocks in the face of the next to attempt to evangelize. Remember, the lost don’t need to hear how well educated you are… they need to know that there is a Creator who cares for them. The correct and incorrect reasons to witness are, very simply, compassion or pride. The why will always mean much more than the how… but after you have witnessed His message to a variety of individuals you will quickly learn that there are various stands that the lost will take as their reasons for living a life apart from Him. Being able to understand those positions and relate to how people came to hold them is an integral part of being genuinely concerned for the individual. The lost must, by the very nature of their “lostness”, practice a certain level of dishonesty with themselves. This being the case… they are not able to be any more honest with you than they’ve been with themselves. Spiritual discernment is crucial… that ability every believer has to listen to the promptings of the Holy Spirit can tell you much more about what makes the lost person tick than any words he or she will say. There’s no possibility of putting every individual into a category… there will always be people who defy the usual, but there have been in my experience, very often repeated versions of certain types of unbelievers. Here is what I’ve learned from them, which might in some way help others to understand their positions and what they need to hear (or not hear) from believers. A case of seeming like everything they are not. These are those people who are a student of every kind of evolutionary science man has to offer. They have spent hours reading books, taking classes and watching documentaries that bolster their faith in a theory of macro evolution. Having done so and properly memorized every term and one-line argument that sounds intelligent… they are literally self-trained to wage verbal war with believers. That is precisely what they have done… though you will never come across an Intellectual Atheist who will admit that all this time spent was for the sole purpose of disproving a Creator to themselves and others… that’s exactly what it is. Atheism is a faith built of shaky ground, therefore it requires such maintenance as to seek out those who believe in a Creator and continually strengthen their own resolve by “winning” verbal wars with them. As a believer, you will never effectively witness to these by engaging in those battles. It doesn’t matter how well you have researched the data and know that the “science” behind evolutionary theory is flawed… you will not convince them. They have a desire in which they have invested a great deal of time, pride and desperate hope… their reasons are deeply emotional and your arguments threaten, what is to the defense mechanisms of their mind, a matter of survival. They have a Need to not believe in Him… that need can stem from a place of having suffered terrible trauma which they can not or do not want to reconcile with the existence of a loving Creator. It can also stem from a deep attachment to a lifestyle which is not morally sound… their resistance to Him is a resistance to accountability for sins they do not want to admit they commit. Intellectual Atheists do not need an intellectual response… they require the knowledge that there is, in fact, a loving Creator Who is both worth living for (even if it’s difficult) and Who has promised justice to all those who cling to Him. While the Intellectual Atheist uses a necessary screen of shallow indifference to conceal his or her intense dislike of the concept of a Creator, the Emotive Atheist doesn’t bother hiding the fact that he or she despises the idea of an Almighty Elohim. This person is outwardly angry, bitter, and tends to be a rather unpleasant person with whom to try to witness the Gospel. The arguments of Emotive Atheists normally revolve around their perceived lack of “fairness” of YHWH’s nature as presented in scripture. These will often accuse Him of being tyrannical, violent and war-loving… they will mention His “indifference” to the suffering in the world and His general lack of compassion as they see it. They’ll also not hesitate to call the believer a variety of insults for having faith in such a Creator. Emotive Atheists are usually deeply hurt individuals. There is often terrible abuse in their past… not unlikely administered by their own parents or some other adult who was looked up to or trusted in their formative years. Their raging anger is often towards that abusive parental figure and a Creator who, in their understanding, did nothing to save them from it. Witnessing to an Emotive Atheist is normally done best in the shortest amount of time you can possibly spend on it for at least the initial attempt. Anything which becomes a long ‘give and take’ will only allow the person to shut his or her ears and open their mouths in the familiar output of venomous hatred which is their defense. Again… these need to understand that we follow an Elohim who is all about love and justice… even when, in our shortsightedness, we can’t see it immediately manifest. Give them the option to come talk about it with you… but take care not to pursue. Many believers might be under the impression that the worship of pagan deities is a thing of the distant past… but that couldn’t be more wrong. Particularly in the recent decades, people have been more and more drawn to what they consider “older” faiths than Judeo-Christian beliefs. There is a certain level of self perceived “enlightenment” in following after a “god” who is attached to romanticized notions of an ancient past. There is definitely a “fad” feeling to the modern adherents of pagan worship. These individuals normally have very little actual knowledge of the faith they profess in their chosen deity… they generally don’t investigate what history has to say about those who, in the ancient past, gave homage to these beings. The attraction of worshiping a pagan deity is often the sense of being able to choose among an extensive pantheon of beings to find the “right god for me”. When that deity is chosen, even the peculiar attributes which are supposedly applied to them undergo a distinct adjustment by the whim of the pagan who chose them to further suit their own likes and dislikes. You will find most Pagans/ Pantheists are quite unwilling to venture into the darker histories of the worship of their chosen being. Few want to admit that they bow to a creature who demanded child sacrifice or who tends to be more or less indifferent to their subjects wants and needs. Modern Pagans know not what they worship… they simply have chosen a poor alternative solution to their very real need for a Heavenly Father. They have done so in the most shallow and sin-friendly way available. A mystical, spiritual “experience” + a designer “god” + the ability to write their own moral code or live without one entirely. These individuals have often been put off from Christianity by bad examples thereof. They have experienced rejection, poor teaching and a lack of understanding in churches or from representatives of Christian faith. They want and need YHWH… but they are wholly disillusioned by how He has been presented to them. They are not unlikely to also have attachments to morally questionable lifestyles which they are reluctant to give up or be convicted of. What they will certainly not have experienced in their choice of a deity is real love and an active interest in their lives. What the Pagan needs to hear from us are good, sound reasons to logically conclude we serve a King above all Kings, that He is the One and the Only Being called Elohim who is a true Creator and loves His creation. They need to understand that we, just like them, and every “Christian” they have ever met… are sin-natured beings and that our mistakes are not His. I consider the Unitarian or Collectivist philosophy to be one of the more dangerous ones.This idea is founded on very ancient roots, but manifests in a very modern way to people who adhere to it. I call this the Religion for Junior Luciferians. Completely ignorant of why this concept exists or what its ultimate purpose in the world is, the people who believe in it are pawns of something much darker and more sinister than they could imagine. Unitarianism might be defined as a separate entity from New Age Collectivism by many to adhere to one or the other. Unitarianism is an “everything that equals nothing” faith. The lure of it is supposedly its wide tolerance for… whatever. Anything you decide to believe is true is fine… as long as you think everything you don’t want to believe is also fine for those who do believe it. It means nothing except that you become tolerant of everything… except what is exclusive. The truth being, by nature, exclusive, simply means that there’s nothing you’re not allowed to believe as Unitarian… except the truth. Collectivism is not much different… it’s just dressed up as more spiritual, sometimes adorned with the seriously weird and fantastic, but it ends in the same place. You are subject to a concept that not just allows… but demands that you conform to a wide tolerance of everything except exclusive truth. Those that have bought into either one of these ideas have done so in an outward attempt to be progressive, peaceful, more evolved, and unified in some idea of global brotherhood with all humanity. The tolerance to which these ideas owe their call to arms is typically turned inside out. At the core of the matter… Unitarians and Collectivists have a desire to see the Truth snuffed out in the world. They have a deep and even disturbing spirit-level hatred of the judgment they inevitably feel weighing on them from that Truth. As a passive-aggressive means of retaliation… they seek to become the “army of the enlightened” who would eradicate the presence of that Truth in the Earth if they could. They are the ironic epitome of intolerance and they hold a philosophy which will be a mortal threat to true believers in the last days. These are truly brainwashed individuals… mainstream entertainment, news, political climate and nearly anything else you can name in society has driven this message into the subconscious of the masses. Truth is despised to the point of being called (insanely enough) non-existent in an absolute sense. People are convinced of only relative truths, which is always more comfortable as one can dream up any “reality’ they like. The mind of a Unitarian or Collectivist is not unlike a mind clouded by a cocktail of drugs, and in fact, you will very often find most of them on some sort of mind altering prescription drug. It is tough to deny the existence of reality you can observe without some manner of intoxication coming into play. Perhaps some of the hardest people there are to witness to… the Unitarians/ Collectivists needs to be shown what should be readily obvious to them, but isn’t. Very simple examples of truth they can not change or deny… very basic level logic. Not having a grasp of a basic level of reason means that they can not possibly process a higher logic which deals with spiritual things. The aim is to not only illustrate that truth is whatever it is, regardless of our wishes… but also that ultimately the truth is Good News. These individuals don’t think much about spiritual matters. They are immersed in life right here and now… subject to the flesh in everything. Because they enjoy and are deeply concerned with the temporal, the eternal is shoved to the back burner of their mind where it is only brought out on rare occasions when great adversity and loneliness descend on the individual. The Apathetic Agnostic doesn’t want to have to think about Him… they enjoy a far away, misty idea of going to heaven… something they hold onto for the sake of loved ones who have passed away, but not consciously for themselves. They generally feel some level of invincibility… as if they, themselves, will never die. They normally like to live fast and destructive lifestyles; drugs, an overabundance of alcohol and promiscuous sexual encounters are not uncommon. They are often people who either have been disillusioned by how Christianity was presented to them, or have grown up without any spiritual training whatsoever. Eternity is always far in the unimaginable future to Apathetic Agnostics… a thing that might be out there… but they’ll never get to. The love of all things worldly that they subsequently manifest makes them a ticking time bomb of disaster…. headed for, in the best of cases, a rude awakening. Since they are people who, for lack of a better term, are “chronologically handicapped” and believe “now = forever”, they find it difficult to concern themselves with what they see as an impediment to the enjoyment of their lives… a Creator to which they are accountable. The Apathetic Agnostic, more than anything, needs to be made aware of how fleeting a thing it is in which they have invested all their energy. These are those that require some fear… some sober words of truth about the consequences of ignoring even a Possibility that He exists and that He requires things of us. The message to get across is that “someday” is some tomorrow’s yesterday and that this is not LIFE, but a preparation for it if we will have it. Maybe one of the more fortunate groups of lost people out there… the truly Seeking Agnostics know they have a need to know spiritual truth. These tend to be individuals who have had little to no training in spiritual matters growing up, but in whom that void has sparked a deep curiosity or even a desperate need to find out “what it’s all about”. Though they are aimless and often dabble and experiment in a wide variety of spiritual outlets, they retain a general feeling of dissatisfaction and emptiness which causes them to keep looking. The Seeking Agnostic is a good person for the witnessing believer to run into if they are fully prepared to answer the questions. They have obviously not yet encountered any Christian who could answer those questions efficiently and that opportunity is a big one for us. Any truly Seeking Agnostic person will not be able to ignore the simple and true rational answers which faith in Him affords, if we are competent to provide them. Anyone Really seeking the Real Creator of Heaven and Earth is good ground for good seed. It’s our job to sow carefully… to be able to explain why we are all in need of salvation… why salvation had to come in the way it did, and why our acceptance and devotion to Him in truth is necessary. We need to be able to explain why sin is the destructive agent that it is and why He hates it… where it began and when it will end. The seeker needs to know why the void in him or her exists that is reaching out to an Elohim they never met… and that He can fill that and impart peace that resists temporary circumstance. This category might cover a pretty broad spectrum of individuals. I do not define it, however, in terms of ‘Christians who simply don’t agree with me on one or more issue’. I have found very few people who don’t, and I would venture to guess that most believers can say the same. Differences of understanding what I call “secondary doctrine” are those which can not undermine salvation and do not constitute “lost individuals”. It’s a very dangerous practice I see too often, that believers will label anyone of disparate views from theirs as essentially “lost souls”. We absolutely can’t spout idle words like that and not consider the consequences of being wrong. The Christian Cultist is one who, in one or more way, entirely diverges from the core message of the gospel and presents some other “gospel” as being Christian. These individuals adhere to their choice of scripture… but subtract the elements with which they are not satisfied. When this touches the core of the message… YHWH’s intervention on Earth as the physically embodied Messiah, the death of Yahushua, His bodily resurrection or His ascension which is the hope of His people, the message is entirely defiled and becomes something other than Christian. Many examples of Christian Cult groups like Jehovah’s Witnesses, Mormons and Christian Scientists are under the control of leadership who practice a method of leading their flock in one understanding of their faith while holding a “secret” understanding of the roots of their belief to themselves. The leadership understands that the religion they practice is not Christian… it’s only the lay people of the congregation who are kept unaware of that fact. Often Christian Cultists have either been raised in the faith they are in or they were drawn into it as scripturally unlearned individuals who were seeking something genuine. Since most of these groups do not encourage reading or studying scripture itself, and offer alternate texts and teachings to the bible, the adherent is usually entirely convinced of the righteousness of his or her faith. Witnessing to these necessitates making them aware of what actual scripture actually says. It’s not effective to bring your favorite English translation of the bible into such an endeavor because there is no clear way of proving the superiority of one translation over another by the use of those texts alone. One needs to go a little further and provide concordance definitions of original words which can shed light on the meaning of scripture without an argument over one translation versus another. One should be well versed in spiritual warfare before treading some of the more dangerous ground of witnessing. Though most Spiritists or Occultists whom you’re likely to come across are simply dabblers in such things… there are very some serious individuals who have made a life’s endeavor of living with one foot in the Devil’s realm. Occult practitioners are those individuals who call upon the power and knowledge of demons and fallen angels to manipulate the world around them in whatever fashion seems to them to benefit their goals. This is a costly practice for them… though most who begin dabbling in it take a very reckless and childish view of those consequences, assuming that they are the ones who have control of the affair. Save for a few who have only played with such things a short time and been very fortunate… you will hardly meet an occultist who has not become possessed or attached to by an evil entity. The great draw of spiritism is the lure of power. Being able to manipulate natural life through the use of supernatural means is the stuff of every kid’s fantasy (thanks to Disney). Having that “edge” against the average mortal is a most attractive prospect… attractive enough to sometimes Literally sell one’s soul to the Devil. Not every occult practitioner… and very few dabbling individuals… will claim to be calling on the devil or any negative forces. Most would like to believe, and hence convince themselves, that they have the ability to only call upon “good” spirits… and they rarely ask themselves if spirits could convincingly lie to them. The more adept occultists are people that the average Joe is not likely to meet… these are people in places of great power and influence, who have come by wealth and worldly favor through their arts. If ever one does have a chance to speak to them, you might find it next to impossible to speak to a real human being through the web of demonic spirits that have attached themselves to them. It’s advisable to precede witnessing to an Occultist with a prayer… one that binds and silences every influence apart from the Holy Spirit. Dabbling Occultists need reasonable and very sober words that sensibly explain the horrific consequences of being utterly possessed and enslaved by an enemy who is quite capable of lying. The adept occultist no doubt has already realized the pitfalls… but often sees no means of escape or a way to relinquish that worldly power. These need to know that we serve an Elohim that practices an amazing grace, and that there is an escape, even from the full force of hell. All Occultists need to understand that the world is full of temporary things… and the only thing worth living for is what is eternal. The mention of “Satanists” to many believers invokes a concept of “the worst of the worst”. Though, (depending on what kind of Satanism one is referring to) there are some practitioners who are very deeply involved in some very dark things, there are many Satanists who are no more than hedonists who have made a religion of their selfishness, and use Satan as a symbolic, not literal, figurehead. The Satanist, of whatever ilk, is someone who holds a deep resentment for YHWH. Most Satanists of a hedonistic sort begin their venture into such a religion through some manner of traumatic or disillusioning experience which makes them mistrust or hate YHWH. The Satanist of the more literal type is quite often born into the scene by way of a family who has gained a powerful position through their practice. Children born to Satanic families are almost always very damaged and not unlikely have been put through an intense, lifelong ordeal of producing in them a dissociative identity. Unfortunately many of these individuals are caught up in a life that they have only broken memories of, and very little chance of escape from without divine intervention. These are the individuals who become the unknowing patsies of black op government projects and perpetrators of mass murders. The Hedonistic Satanist is a mere dabbler… he or she is normally a very desperate and needy soul who very much wants to believe in better things than the life they lead. They want to know He cares… even though they might entirely deny His existence. There is a place inside them that realized YHWH exists since it is impossible to hate anyone who does not… and they require someone to be the example to them of what He is really about. The Literal Satanist is a much more difficult individual to reach. Chances are you are dealing with someone who has parts of their psyche programmed to respond with hostility, violence or escape back to their “handlers” in the event of anyone attempting to usurp their “system”. Be very cautious… some of these include programs which will literally “self destruct” (suicide) the person in such an event. Witnessing to these should be done with a group of faithful believers who are well trained in dealing with DID/ SRA victims. Perhaps the most unlikely lost individual you are to meet, simply due to the secrecy and high position that is usually associated with the belief system. These are the counterpoint to the true Satanist… they are the servants of the Evil One, who disguise themselves throughout society and religion as benevolent… even Christian. Whereas the Satanist practices a dark art forthrightly and is either viewed by the masses as non-existent or a rare, fringe element, the Luciferian is all but unknown to most people because they appear openly in the world in seemingly humanitarian, political and civil servant positions. There is not much to be said for a “dabbling” faction of Luciferians because this belief is normally only understood in its entirety by the highest factions of their very powerful construct. The lower novices among Luciferians are often presented with the notion that they are worshipers of the true Elohim, and as that person advances, the lines are blurred and finally erased to expose the fact that the “Christ” that they follow is not Yahushua… but Lucifer. Luciferians along with Satanists are the ruling controllers of this present world age… they literally have their strings attached to every facet of government, entertainment, economy, commerce and infrastructure on the planet. The Luciferian faction is in a position to be a much greater threat than the Satanists, perhaps due to their chameleon tactics in society and even amongst their own adherents. One does not “join” to Luciferians… they are born to it. Bloodline is of extreme importance to them. The average Luciferian has been born into a generations old position… they are born to fill a spot in the machine that will one day bring about the “great vision”… the New World Order. They are often very assured of the righteousness of their own undertakings and have been conditioned to believe in a very warped moral standard, including a twisted perspective of who YHWH is and the power of Lucifer which they suppose to be superior. They are likely to view the average populace as property more than humanity, and understand this as a condition which is for the “greater good”. Luciferians are, like Satanists, often subjected to a rigorous life that produces a dissociative psyche. The parts which are used to carry out more nefarious activities are often hidden from a front alter which is oblivious of those things and can present a very normal countenance. The same cautions apply to witnessing to a Luciferian as with a Satanist and perhaps go even further… be aware that the high connectedness of a Luciferian can mean that one who is willing to leave their position is also marked for termination and needs prayer support as well as a safe haven. We are the followers of a Messiah who is a Rock of Offense to the world. Telling people of the Good News will, more often than not, be received as anything but good news. Sometimes those encounters can degrade quickly into hostility and an evident attitude of rejection. It’s never good to proceed past the point of clear rejection… the point of witnessing is compassion, when your message carries on past where it has been thrown aside and trampled, you are no longer doing a service of compassion. Remember… there is an eternal impact to that rejection every time it occurs… when the answer is clearly no, we don’t want to compound the condemnation with further rejection. We might leave it lie for the time and present it again later… allowing for a different mood or mind set. Two rejections on two occasions is normally the finale for me. After our words have been rejected… our witnessing to that individual should be confined to using our lives as examples in action. 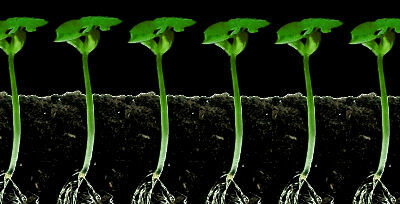 All we can do is sow the seed… YHWH alone can give the increase. Pray He leads us to good ground. Hidden mysteries, secret knowledge and higher spiritual wisdom are very attractive concepts to many people. There is a sense in many individuals that the current generation of the world has been deprived of information relating to spiritual truths, and so anything which both satisfies the excitement of possessing hidden spiritual knowledge and seems to fill in many gaps left by traditional views, is easily accepted. Nothing exists in a non Christian’s world view which contradicts exploring spiritualism that is occult. Ensnaring the non believer in veiled Luciferian doctrine is no challenge, but for the believer it should be evident what conflicts scriptural morality have with these same concepts. Still, the enemy is not lazy and there is an outlet for occult practices which bears enough of a resemblance to Christianity or biblical themes to lure the untrained or unguarded believer into them. Kabbalah has attracted many adherents from every sort of spiritual viewpoint, but it’s traditional connection to the use of old testament texts and themes makes it a very tempting philosophy for Christians, especially those seeking some deeper understanding of the Creator, which is lacking in most Churches, and which Kabbalah promises to provide. It does not attract those Christians by way of appealing to a fervor to know Him and a better understanding to obey Him, though, as it would if there was a pure motive involved, and the practice of it delivered a righteous message. It appeals to the base senses of pride in the fallen nature, offering something which is supposedly exclusive, and transcending knowledge only a ‘worthy soul’ could connect with and understand. This gives the adherents a certain sense of elite status to be a part of such a thing, all of which is simply a matter of empty pride. Kabbalah or Qabbalah, meaning “receiving” is a mystical philosophy which supposes to explain the nature of Elohim, of His creation, the nature of souls, good, evil and the relationships between all these things. Though the practice uses a highly symbolic interpretation of scripture, it more heavily relies on traditions which are extra-biblical and occult. As it now exists, traditional “Judaic” Kabbalah only manifested as a recorded presence in the middle ages, but it’s adherents maintain that it’s teachings have come down orally from the beginning of human existence on Earth. It gradually became a more secret practice throughout history and is only receiving a more public awareness in these later days. Truthfully, Kabbalah is nearly as old many who practice it say. The teachings of this philosophy are not fundamentally Jewish, nor have their beginnings in Israel or her patriarchs, though. Regardless of the name it goes by, or the incorporation of Hebrew themes and names for the Creator, it began as the pagan opposition of everything YHWH stands for and admonished His people to live by. And has simply been absorbed into Jewish tradition during Israeli captivity in Babylon, contrary to all warnings YHWH has given His people to be separate from such things. It is also as new as it is old, meaning that what is today newly popular, a trend toward believing in a spiritual outlook which regards human beings as divine and regards all creation as one and a part of whatever is viewed as “god” which is endowed with a feminine aspect , often termed “New Age” is very much what Kabbalah teaches. Though disguised as monotheistic and based upon a belief in the One true Creator, Kabbalah views Him in ten personifications or “emanations” corresponding to four “worlds”. The same principal is seen in the occult geomancy/ astrology practice of Feng Shui where there are ten deities corresponding to four “pillars” and is also seen in the Egyptian ennead – nine “gods and one “hidden” deity. In the Kabbalistic tradition, the Creator caused a void in the act of creation which brought chaos into being. Self aware creation is formed as a result of this destructive event and thus beings who are able to commit willful sin. The Creator Himself is so shown as a being who both manifests disorder and is the sole origin of evil. There is no “enemy”, no Satan, nothing which opposes the Creator, since He has authored the disorder Himself. This explanation is directly contrary to the nature of YHWH, according to scripture, who is clearly described as purely righteous and the author of order, never chaos. Kabbalah deals heavily in the use of gemantria, a practice by which hidden interpretations are derived out of scripture and other texts using a numbering system that correlates to each Hebrew letter, and in turn correlates to a specific meaning. Without doubt, there is meaning in all reality and there is math at the base of all things He created and ordered. The danger of attempting to gain hidden knowledge by way of numerical divination is that this is an example of infants playing with highly technical and dangerous machinery. YHWH does not hide the information He intends His creation to understand and if there be anything He does not intend to make known to us, our attempt to know it is futile and can only result in misinterpretation. That misinterpretation is fuel for the enemy to deceive us. Numerological divination has always been linked with the astrology and alchemy of numerous pagan belief systems. The scriptures are very to the point in making it well understood that YHWH and the laws He put forth are the only acceptable standard and that Yahushua is the only acceptable redeemer to that standard which provides reconciliation for the sinner. There is no question of the exclusivity of belonging to Him or the exclusivity of the available means we have to do so. That inherent truth is at least diluted in Kabbalistic understanding, if not completely abandoned. Kabbalah has accepted, and been accepted by, a wide variety of belief systems including Eastern religions, Islam, Gnosticism and every manner of pagan religion. It is universalist fundamentally, as is the current religious trend leading into the New World Order, globalist “oneness” cult. Those who have taught Kabbalah in the ancient past were at least aware that their practice was highly dangerous and that the influences they called upon in doing so were treacherous. Though not wise enough to put away the abomination from them entirely, they had more wisdom than do the ignorant dabblers in this philosophy now who pursue it in foolish disregard for fire they play with. Yahushua spoke of these masters of the mystery religion who sought far and wide to find one “worthy” pupil to train up in his demonic enlightenment. The sect of the Pharisees were that which brought Kabbalah out of Babylon and into Judaism. Of the non biblical texts which Kabbalah uses and relies on, the Zohar is one of the most important. The Zohar was penned by Moses De Leon in the 13th century, though he credited the content to Rabbi Shimon bar Yohai. It would seem that Moses De Leon actually received the information by way of becoming a medium to a spirit who dictated or wrote the text. Shimon bar Yohai, himself was a teacher of the mystery arts and had been well known for his many so-called miracles. It is held in rabbinical records that he requested the assistance of a demon to possess the daughter of the Roman Emperor so that he could then demonstrate his powers by casting it out of her. The text of the Zohar is actually a group of books which contains mystical interpretation of the Torah. The interpretations bear a strong resemblance to more modern theosophy than Judaic religion. It is here that one finds the model of the trinity which is ancient and pagan but not the least Christian. The Creator, according to the Zohar, has three archetypes including a feminine aspect and an incomprehensible aspect which is above human involvement or understanding. If there is still any possible doubt that Kabbalah opposes all things which are aligned with His will, consider the Kabbalists use of the supposed Name of Elohim, known as Shemhamphorasch. The selfish use of His Name to gain personal power is a transgression which dates back to the pre-flood era. The Watchers having taught men the Name and how it might be used in this way is exactly the purpose of the commandment YHWH gave to not take His name in vain. The Letters derived from three verses in Exodus having 72 characters each are arranged in a precise pattern which spell out the names of 72 angels and 72 “names of god”. These beings, though, should not be assumed to be benevolent servants of YHWH. These names are well known in occult belief to be the names of 72 fallen angels sometimes claimed to have been controlled by Solomon and employed to build his temple, even though such an act would contradict every warning of scripture to have nothing to do with drawing upon spiritual power that is not His Holy Spirit. Anton Lavey, founder of the Church of Satan promoted calling upon these same beings and their names can be identified in grimoirs used in witchcraft. Tarot cards, as well, owe their arrangement and naming to these 72 fallen angels. The names, divided into pairs are attributed to a ten degree section of the zodiac or ten numbers, four court cards and 22 major arcana – 36 pairs. Seeking truth has become a popular claim, yet it is not enough to simply seek out truth. The motive itself must be Truth. To immerse one’s life in the honoring and worshiping of false deities is the definition of “practicing a lie”. If the knowledge sought is to the end of fulfilling a desire to simply gain understanding of what seems hidden or exclusive or powerful, the final result is acquiring a vain and worthless mystery that belongs to those who have nothing to do with truth. “Blessed are those who do His commandments, that they may have the right to the tree of life, and may enter through the gates into the city. “And now to the Watchers, who have sent you to pray for them, who in the beginning were in heaven, Say, In heaven have you been; secret things, however, have not been manifested to you; yet have you known a worthless mystery. “You worship what you do not know. We know what we worship, for salvation is of the Yahudiym. But the hour is coming, and now is, when the true worshippers will worship the Father in spirit and truth, for the Father is seeking such to worship Him.